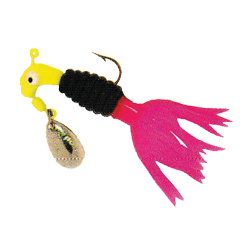 Crappie Thunder Road Runner features a long lasting solid body and a flared tail for a slower descent and longer presentation. 1/16 oz features #4 hook. 1/8 oz features #1 hook.